The Rainbow Six Siege Closed Beta, which was originally supposed to wrap up on PlayStation 4, Xbox One, and PC tomorrow, is getting extended through the weekend, now closing on October 4. Ubisoft has also announced that a Double Renown event will start this Friday at 5PM PST / 8PM EST, so players will be able to unlock more Operators, attachments, and skins even quicker. In addition, emails are now being sent to all American and European players who’ve played at least one match in the Closed Beta before 11AM PST / 2PM PST on September 29 containing additional download codes to give to friends. According to Ubisoft, these keys will be tied to the same platform of the user who received them and will be redeemable until October 2. Sounds like the Seige-ing ain’t over just yet. Who’s playing this weekend? What are your first impressions of the Closed Beta so far? 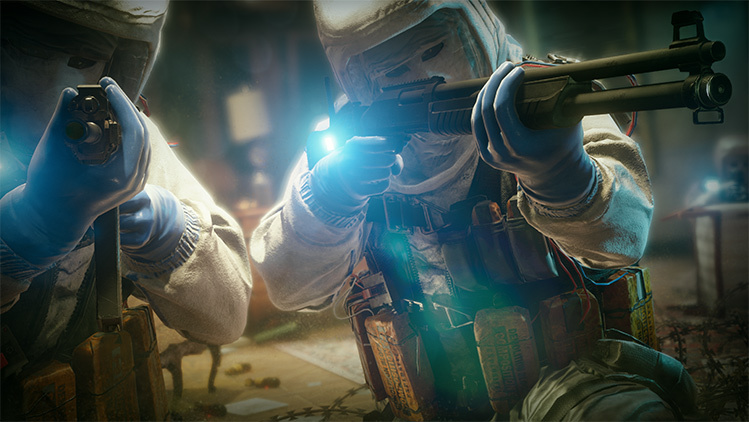 Rainbow Six Siege hits PlayStation 4, Xbox One, and PC on December 1.